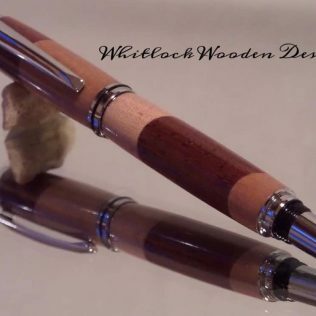 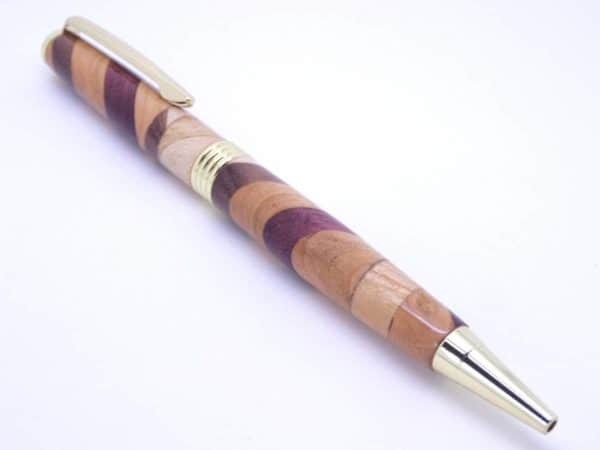 This is a wooden segmented ballpoint pen hand turned in my UK workshops using traditional tools and techniques. 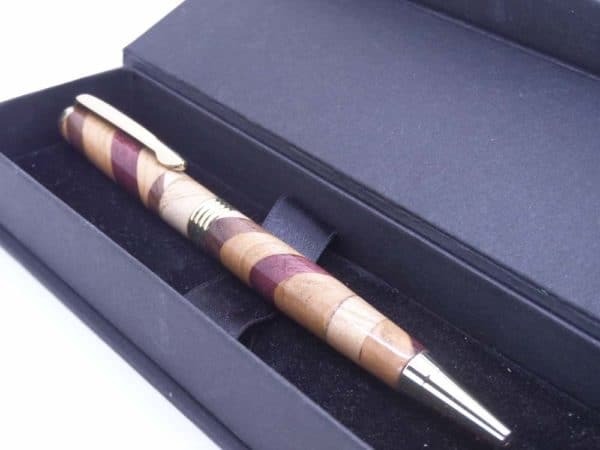 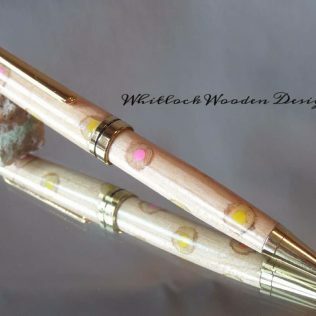 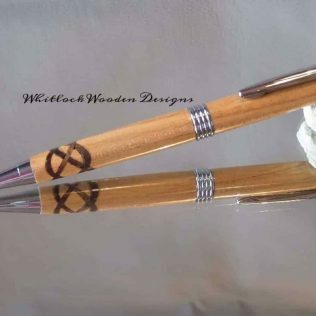 These segmented wood pen designs offer endless possibilities with lots of different segmented designs, just have a look through the shop or gallery. 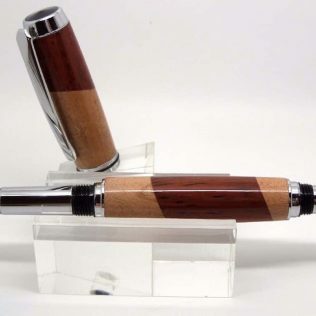 More about the making in this segmented pen article. 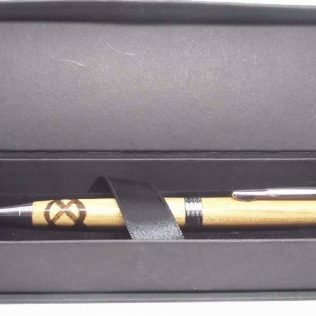 This wood ballpoint pen has a twist action mechanism with a high-quality 24 carat gold-plated trim. The pen uses a cross type medium ballpoint black refill available from any good high street stationery shop. 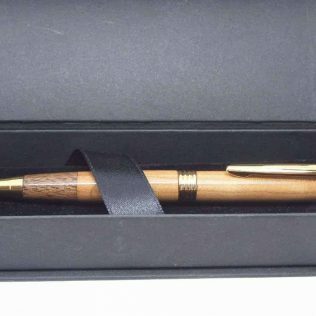 All my unique wooden pens come in a presentation box as standard. 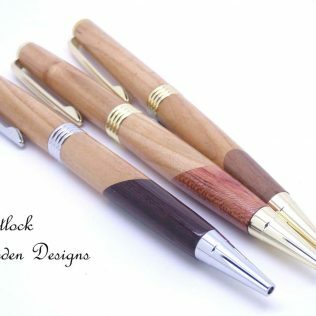 Every piece of timber different in grain and figure these pens make gift ideas unique and good wooden gifts for 5th wedding anniversary or Birthdays.